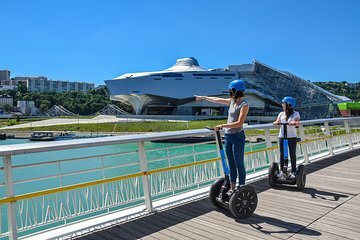 Discover Lyon’s contemporary Confluence district on a 1.5-hour segway tour. The personal easy-to-use mode of transit allows you to explore teh area quickly and comfortably. No previous segway experience is necessary, as you're treated to a brief instructional session before the tour begins. Once ready, follow your guide along the banks of the Rhone and past the Old Basilica of Ainay, as you listen to guided commentary.